Deep inside a complex of huge tanks, drinking water for Iowa's capital city is constantly cleansed of the harmful nitrates that come from the state's famously rich farmland. Without Des Moines Water Works, the region of 500,000 people that it serves wouldn't have a thriving economy that has become a magnet for tech companies such as Microsoft. But after decades of ceaseless service, the utility is confronting an array of problems: Water mains are cracking open hundreds of times every year. Rivers that provide its water are more polluted than ever. And the city doesn't know how it will afford a $150 million treatment plant at a time when revenues are down and maintenance costs are up? "We're reaching the end of the life cycle of some of the most critical assets we've got," said Bill Stowe, CEO and general manager of the utility, which has a downtown treatment plant that was built in the 1940s, long before nitrates, which can harm infants, became a pressing concern. He said the industry is getting "all kinds of these warning alarms that we haven't heard before." At stake is the continued availability of clean, cheap drinking water — a public health achievement that has fueled the nation's growth for generations and that most Americans take for granted. The U.S. Environmental Protection Agency projects that it will cost $384 billion over 20 years to maintain the nation's existing drinking water systems, which will require tens of thousands of miles of replacement pipe and thousands of new or renovated plants. The American Water Works Association, an industry-backed group, puts the price even higher — $1 trillion to replace all outdated pipes and meet growth over the next quarter-century. "The future is getting a little dark for something as basic and fundamental as water," said Adam Krantz of the Water Infrastructure Network, a lobbying group that is fighting cuts to key federal water programs. "Buried infrastructure is out of sight, out of mind. We take it for granted. We turn on the faucet and we get good, clean, quality water," said Will Williams, head of asset management for the engineering firm Black & Veatch and an expert on water infrastructure. "That's the key that Americans have to understand: If they want this system, they are going to have to be willing to finance it, to pay for it," said Greg DiLoreto, past president of the American Society of Civil Engineers. The group's 2013 report warned of a looming funding crisis and a future with more equipment failures that will disrupt water service, transportation and commerce. "Not meeting the investment needs of the next 20 years risks reversing the environmental, public health and economic gains of the last three decades," the report said. Utilities have long struggled to predict when to replace pipes, which have vastly different life cycles depending on the materials they are made from and where they are buried. Some might last 30 years, others more than 100. Sophisticated computer programs are helping some water systems prioritize the order in which pipes should be replaced, but tight budgets often mean the fixes don't come until it's too late. The Philadelphia water department, the nation's oldest, is already spending tens of millions of dollars more per year to replace its worst pipes. Yet the city saw more than 900 water main breaks in the most recent budget year. In June, two massive breaks forced evacuations and damaged cars, homes and businesses. New Orleans once boasted about not raising water rates for two decades. But in 2012, the city approved 10 percent increases on water bills for eight straight years as part of a plan to fix a crumbling system. The average household's monthly water-and-sewer bill will climb to $115 by 2020. 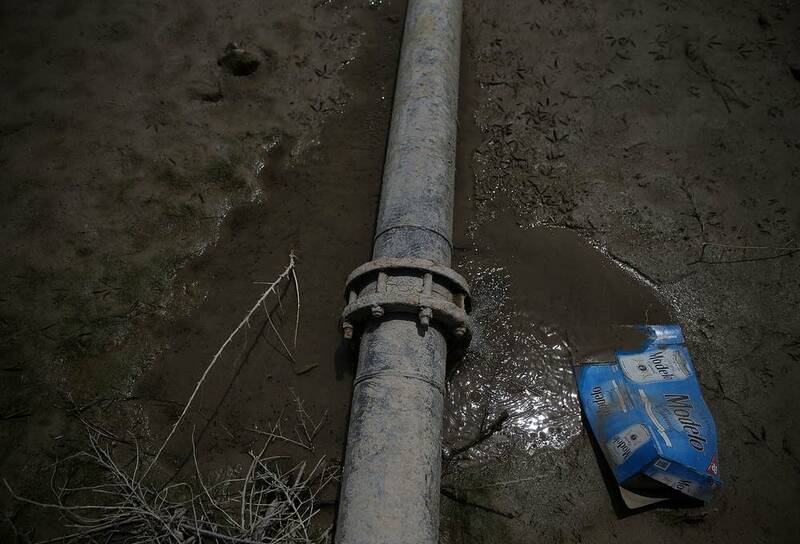 The extra money will help replace deteriorating mains damaged by Hurricane Katrina. The massive main break that flooded the UCLA campus in Los Angeles in 2014 — ruining its basketball court and inundating buildings and fields with millions of gallons of water — was widely seen as a wakeup call for failing infrastructure. But a year later, the city's response illustrates how large of a problem many systems face. Pipes aren't the only components in need of big investments. Many water-treatment plants are 70 to 100 years old and need to be replaced or rebuilt with new systems at a cost of tens of millions of dollars even in small cities. Adding to the price will be new valves to control water flow, new pumping stations to keep up pressure and new tanks to store water. Add it up, and customers' water bills will need to climb rapidly across the country to keep the current level of service. Experts say the trend, which will disproportionately hurt the low-income, is likely to continue in coming decades. "Infrastructure is the new frontier. Everybody knows there are issues, but it's like, 'What are we going to do?'" said Ed Moreno, water superintendent in Iowa City, where rates went up 5 percent this year to pay for infrastructure. "Because it's not going to be inexpensive." 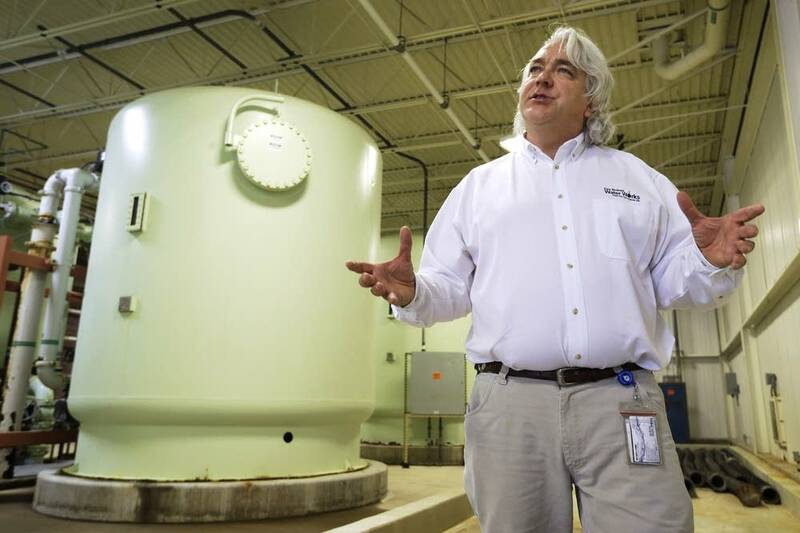 The biggest challenge for Des Moines Water Works has been nitrate levels that are far above the federal standard for safety in the two rivers that provide the utility's source water. The utility and scientists argue that the nitrates are largely the result of farm runoff that is tainted with fertilizer and manure. 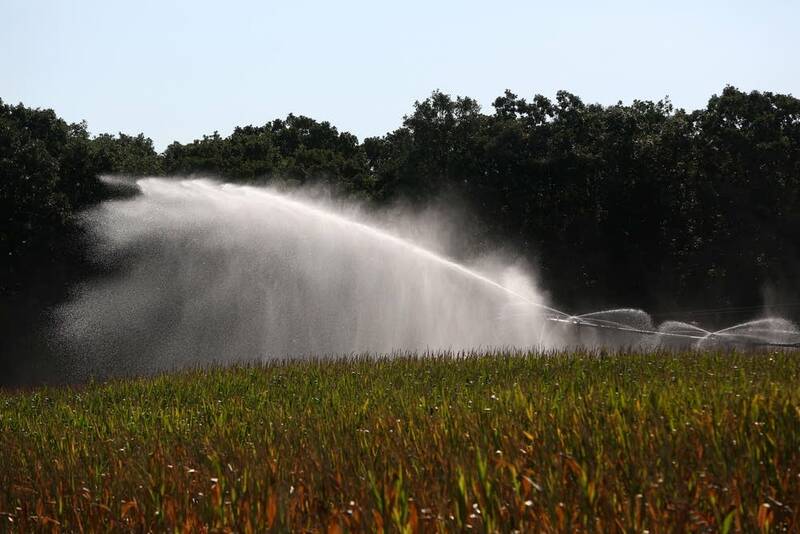 The water agency has taken the unprecedented step of suing three major Iowa farming counties in federal court to try to limit the farm discharges. But the litigation provoked an intense backlash from Iowa's powerful agricultural industry, which argues that farmers are already taking voluntary measures to address the problem. A trial is set for next year. If the problems persist, the plant's general manager said it will have to spend $150 million to build a nitrate-removal plant to replace the aging tanks and outdated technology currently in use. Officials worry that on a hot summer day during peak demand, the utility will be unable to treat enough water, forcing a temporary shutdown that would require customers to use bottled water. The existing nitrate-removal system can treat only about 10 million gallons a day, a fraction of what the region needs. The treatment costs also leave less money to replace Des Moines' aging pipes. The utility budgeted this year for 345 main breaks, up from 285 last year. It spends about $6 million per year on maintenance, a figure Stowe said is less than half the amount needed. The effects are felt by residents such as Mario Tumea, whose family's Italian restaurant was closed in May for a day and a half after a 12-inch cast-iron main from 1938 split and sent water gushing into the street. The restaurant's parking lot was damaged, and eight businesses were left without water. "It's frustrating," he said. "But when you have old pipes and stuff like that, it's going to happen. We weren't happy with it, but we had no choice."